At this year’s INBOUND marketing conference in Boston, software provider HubSpot rolled out some exciting new features and announced a broad new focus area: Customer Service. 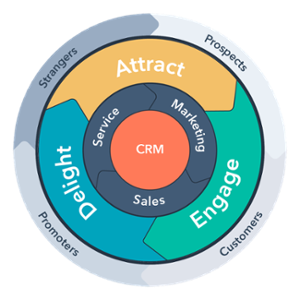 As HubSpot Agency Partners, UP is excited about many of these new features, because it means our clients now have access to even more ways to attract the right sort of leads, nurture them all the way down the sales funnel and keep them engaged as happy customers. 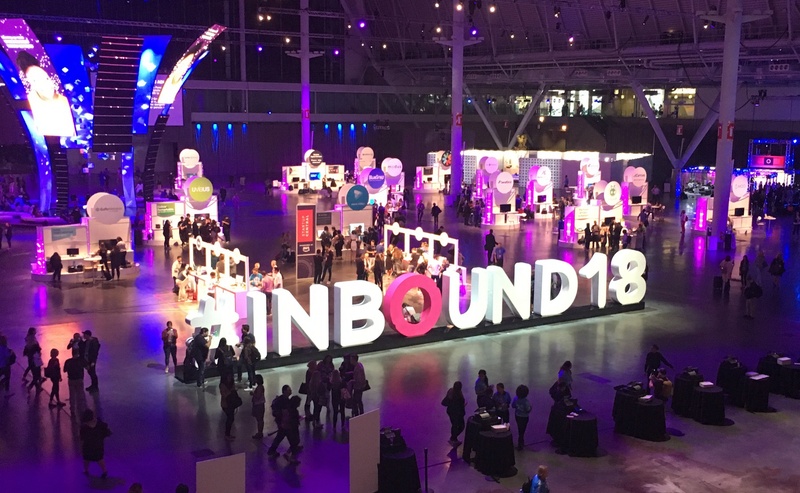 HubSpot introduced a number of exciting new features at INBOUND18, including several focused on key areas of customer service, video and online conversations (chat). Speaking of funnels, HubSpot co-founder Brian Halligan actually called for the retirement of the famous HubSpot marketing funnel at INBOUND18, introducing his more updated concept of how customers, sales and marketing interact, which he calls a flywheel. (Hint: Look for more about this to come). The HubSpot FlyWheel - Will it replace the marketing funnel? If you’re already using HubSpot, the new features and updates mean you now have access to even more tools to better manage your website, content and lead generation. Here are seven announcements from this year’s INBOUND that we thought you’d want to know about. 1. New Customer Service Hub. At Inbound18, HubSpot stressed how important creating a unified customer journey is…all the way from first website visit to handling customer support issues. That’s why they have introduced a new Service Hub – a completely new product focused on customer service and support. The product includes the essentials, such as a Help Desk with forms and a ticket system for handling customer enquiries and requests, but also includes a knowledge base (so you can easily share “how to” or help files with customers), as well as customer service surveys. Pro and Enterprise versions have additional features such as personal 1to1 videos, goal setting, reporting and playbooks for customer service and support teams. Marketing Hub (which includes tools for marketing automation, email, landing pages, forms, blog, social media, ads, website reporting, CTAs, and a CMS). Service Hub (a completely new offering for customer support with customer surveys, ticketing, and support management). The price of each Hub is discounted 25% when you combine all three tools in what HubSpot calls the “Growth Suite”. 2. Native video creation and hosting. HubSpot has introduced a series of video tools that are woven seamlessly into all three Hubs: marketing, sales and service. You can upload, manage and distribute up to 250 videos and easily embed them into email, website pages, forms and even chat with one click. The native video hosting is fast, secure and customizable, and allows you to integrate video seamlessly into workflows for powerful personalized automation. Perhaps best of of all, you can also insert forms and CTAs right into the videos. So cool! Video promises to be the next "must have" digital tool for social media and search engine optimization. Think about using video to create FAQs, “how to” instructions and quick tips for customers. Having this powerful tool built right into HubSpot means you get usable metrics and advanced personalization possibilities along with integration of your website. Introduced last year, Conversations (website chat) is now available free to all HubSpot customers. This app lets you set up a chat function on your website to interact with prospects and customers and even automate it with “bots” that can answer simple questions automatically. Chat lets you start a conversation on the website, follow-up over email and continue the conversation over the phone without missing a beat. Custom bots and features such as inserting articles, videos and surveys or scheduling meetings into the chat are available too. Now, no matter the size of your marketing and customer service team, your website will look super professional. HubSpot has always been all about analytics and data, but custom reporting was previously only available as add-ons or in Enterprise versions. But now, advanced features like cross object reporting and custom reporting are available to all customers. For example, in the Professional level, you can build up to 25 customer reports (500 for Enterprise customers) and include cross-object reporting (such as sorting deals by industry or original source, or engagement by blog post or original source). With so many great reports at your fingertips, you’ll be the hero of your team in no time. 5. More robust Enterprise offering. Historically, HubSpot’s focus has been on small and medium-sized companies…offering a world-class marketing automation suite combined with a web-hosting platform and CRM. Now HubSpot has enhanced their Enterprise Sales and Marketing Hubs to offer more robust capabilities for managing large and international teams. The new team functions allows more granular and specific team access and permissions, content partitioning and provides managers more insights and ability to set goals. We have a few clients who will be glad to hear about this! Integration with slack. Keep your team and customers connected with custom notifications that can be triggered off conditions in workflows. Integration with Zoom online meetings. Send invitations from email or automated workflow triggers. Facebook Messenger. Use messenger without needing forms or landing pages. Predictive lead scoring (has been revamped with machine learning/ AI). Automatically score and rank leads based on their likelihood to close as customers. Quote approval management. Have more control over teams. eSignature is now a native part of Hubspot Enterprise. Each rep gets 30 signatures. Call transcription and recording (for training and sharing). Turn messages into next steps/tasks. Playbooks. Build a library of sales best practices and resources for your team. Video. Sales can send customized 1to1 videos quickly and easily right in HubSpot CRM. Conversations. Customers can use website chat to speak directly to the right rep. Custom Bots. Deploy useful bots that can assist customers with simple requests like finding related pages or documents. Calculated properties. Create fields in HubSpot to perform calculations. Continuous testing. Instead of creating A/B tests manually, HubSpot can now automatically and continuously test assets like lead flows with one click. Email safeguards (send frequency caps) to prevent bombarding anyone with too many emails. These updates are exciting because it means larger international companies can provide more granular access of content and data to their teams, and have more control over visibility of content in their portals. HubSpot has turned their newly upgraded Content Management System (CMS) into a stand-alone offering. Their goal is to create a powerful, integrated platform that rivals the popularity and ease of use of systems like WordPress, but with a level of security, speed and personalization you can’t get with free systems. The personalization possible by linking content to HubSpot’s database and (free) CRM makes it especially powerful as you can show visitors content specifically for them based on location, persona or other segmentation options. HubSpot’s focus on making the CMS a true platform means a number of third party integrations have already been created for it. What’s most exciting about this is that the CMS has been completely redesigned using drag and drop editors to easily customize pages and layouts. The free version of Hubspot (called Marketing Free) now comes with website forms and chat. That’s right, you can use HubSpot for free to set up forms on your website to collect lead information. You can also use the CRM free and Conversations (web chat) as well. In addition, Email now comes as part of the Marketing Hub Starter (no longer an upgrade). This entry level Hubspot marketing system includes a CRM with better segmentation than MailChimp, and a brand new drag and drop email template builder. What do you think about the new feature updates? Want to know more about HubSpot and how inbound marketing works? Download our free presentation now.